When the now-legendary British DJ Paul Oakenfold made a name for himself during the 90s rave scene, his dream was to play at stages in Ibiza and the biggest and best clubs around Europe and America. 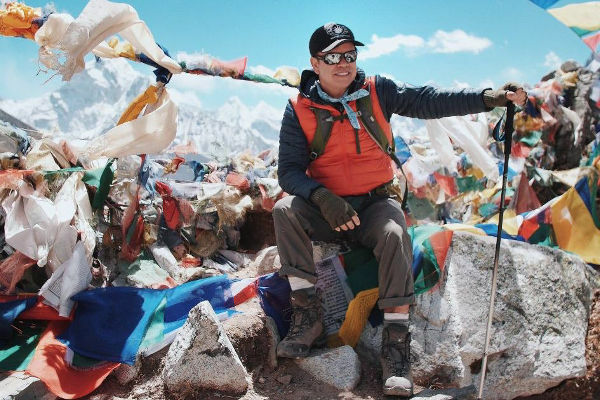 Now, aged 54, he has turned his sights to a different kind of stage – Mount Everest. The producer is visiting the region as the culmination of a project called SoundTrek in which he aims to draw attention to the effects of global warming while simultaneously raising money for various charities around the world. His goal was to throw the highest dance party on earth by performing at the Everest Base Camp, a total of 17,600 feet above sea level. His gig on Everest is not the first unusual location of his career, as he has played on the Great Wall of China as well as Ushuaia, the southernmost tip of the world. His trip to Everest, however, would require the most preparation through a vigorous training regime that he had to fit into his busy DJ lifestyle. 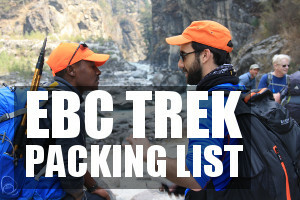 Having absolutely no prior trekking or even hiking experience, Oakenfold enlisted the help of a personal trainer in addition to an esteemed British mountaineer, Kenton Cool, to help lead the expedition. His four-month training routine started off with 3-mile walks around leafy Los Angeles before progressing to a gym routine focused on building core and lower body strength. The DJ also made the decision to give up any alcohol and caffeine, which just happen to be two things very closely associated with the DJ/producer lifestyle. On nights he didn’t have shows, he would be in bed by 9:30pm so that he could be up bright and early to begin with his workout for the day. Oakenfold was lucky to be supported by his trekking team of Sherpas, who carried all his DJ equipment up to the base camp in preparation for the show. The 10-day trek commenced in early April 2017 and everyone and everything made it up to base camp in time for Tuesday’s show. Unlike most of his gigs, this one would have to start at around 11:00am and the fancy stages and strobes were replaced by a foldable table and prayer flags. He mixed his tracks to an audience consisting mostly of climbers and guides, all donned in their puffy jackets. There were reports of a whiskey bottle making its way around the crowd who were enjoying the trance-like beats Oakenfold had on offer. According to Oakenfold, atmosphere was really positive and he said he was “inspired” by the view. 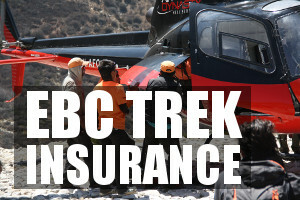 The purpose of the DJs trip didn’t end with the gig at base camp, however. A portion of the funds raised went to helping survivors of the tragic 2015 Nepal Earthquake, and all of the producing equipment brought onto Everest was donated to a local DJ school in Kathmandu. Some established mountaineers and local guides were not too optimistic or happy about Oakenfold’s gig as the mountain is viewed as a sacred deity to the local Sherpa people. For some, the mountain is losing its reputation as a climber’s mountain and is becoming increasingly popularized by gigs such as Oakenfold’s. Labelling the visit as narcissistic is slightly harsh given the producer’s efforts to help the local community and raise awareness. The overwhelming message was one of positivity for Oakenfold, with some climbers saying that throwing parties is “a part of Base Camp life.” Oakenfold has now left Nepal after his last show in Kathmandu and is now headed for the US where he carries on with his tour. To watch the gig on Everest, visit his Facebook page and look for livestreamed videos.